employees and/or in the presence of guest contact and Celebrity Family Member (CFM) areas. 3. Responsible for fixing and/or making alterations to guests’ garments. 5. Responsible for the safekeeping and tracking of all new and recycled uniforms. 6. Responsible for executing inventory counts as per the uniform’s Inventory Cycle Count schedule. CFM’s following the Sale of Uniforms schedule. 10. Responsible for the maintenance of the new and recycled uniforms’ storage locations. 11. Assist the Linenkeeper on the issuance and collection of linen. 12. Assist the Hotel Supply Supervisor in the day-to-day operation of all Hotel stores. 13. Assist the inventory team with the loading and storing process of all inventoried items. 14. Assist the inventory team in the storerooms if required. 16. 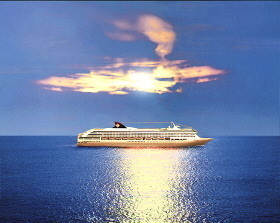 Comply with all corporate standards and procedures as they relate to the entire Celebrity fleet. 18. Ranking Officers and fellow staff. port days as scheduled by the Master. MINIMUM AGE LIMIT IS 21 Y.O.